Prescriptions for diabetes drugs have soared by 70 per cent in a decade with almost 55 million written last year, official figures show. This works out at just over 150,000 every day, costing the health service more than £1billion a year. Experts warned the escalating cost – up from £593,000 a decade ago – is being driven up by Britain’s spiralling obesity crisis. The sharp rise in cases means diabetes accounted for an astonishing 11 per cent of the cost of all NHS prescriptions issued by GPs last year. Experts have warned it is now Britain’s biggest health threat, contributing to an explosion in complications such as heart attacks, sight loss and amputations. One in every 15 adults now has the condition, which can lead to stroke and raise the risk of cancer. Low-calorie diets are also being trialled by NHS England, with officials hoping it will reduce the sums spent on prescriptions. Douglas Twenefour, of Diabetes UK, said the rise in prescriptions for diabetes followed an alarming rise in prevalence of the disease. 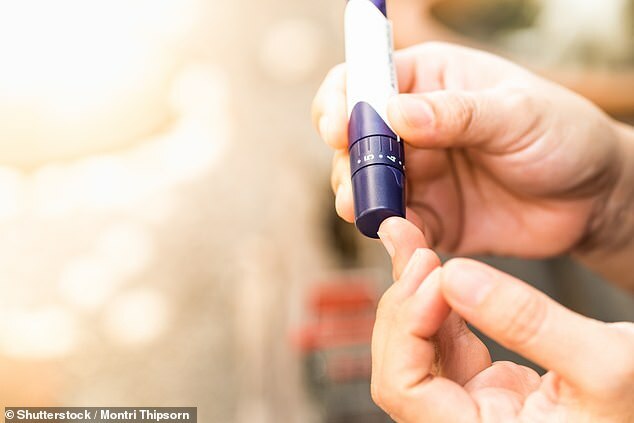 He said: ‘The number of people living with diabetes has risen at an alarming rate in recent years, so it is unsurprising that the cost of diabetes prescriptions has almost doubled since 2008. ‘The amount spent on prescriptions is just a small part of the £10billion the NHS spends annually on diabetes. Type 2 diabetes is a condition which causes a person’s blood sugar to get too high. More than 4million people in the UK are thought to have some form of diabetes. Type 2 diabetes is associated with being overweight and you may be more likely to get it if it’s in the family. The condition means the body does not react properly to insulin – the hormone which controls absorption of sugar into the blood – and cannot properly regulate sugar glucose levels in the blood. Excess fat in the liver increases the risk of developing type 2 diabetes as the buildup makes it harder to control glucose levels, and also makes the body more resistant to insulin. Weight loss is the key to reducing liver fat and getting symptoms under control. Symptoms include tiredness, feeling thirsty, and frequent urination. It can lead to more serious problems with nerves, vision and the heart. Treatment usually involves changing your diet and lifestyle, but more serious cases may require medication. ‘The vast majority is spent on treating the complications of the condition which are often avoidable. These complications include amputations, kidney diseases and sight loss to name a few. Diabetes occurs when blood sugar levels rise to risky levels. Rising levels of largely preventable Type 2 cases have seen diabetes diagnoses almost double from 1.9million in 2008 to 3.7million today. A further one million people are thought to be living with the condition but do not know they have it and 12.3million are at risk. Doctors agree the crisis is being driven by obesity, with unhealthy diets and lack of exercise making the UK one of the fattest countries in Europe. The number of prescriptions issued for the condition has risen by 69 per cent since 2008, from 32million to 55million in 2018. The most common treatment for the type 2 form, after exercise and diet, is metformin, a cheap drug which helps the body respond to insulin. 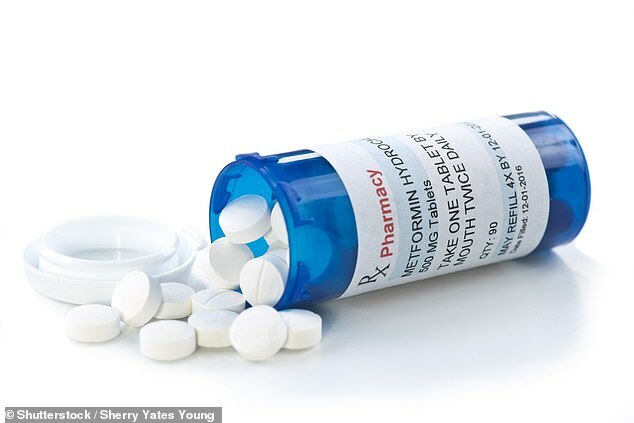 If patients do not respond, or suffer side effects to metformin, some are given more expensive alternatives such as Invokana, Forxiga and Jardiance – which cost about £475 a year. But there is growing evidence that people can ‘eat to beat diabetes’. Studies showing an 850-calorie daily diet of soups and shakes can reverse type 2 diabetes within months. More than a third of patients put on the daily regime for three to five months were free of the illness after two years. A pioneering diet plan being used by NHS doctors across the Britain will start in tomorrow’s Daily Mail. In it, Southport-based general practitioner Dr David Unwin will reveal mouth-watering recipes devised with chef Giancarlo Caldesi, designed to help readers beat type 2 diabetes. His practice has been credited with saving a total of £57,000 on medications for conditions including high blood pressure and type 2 diabetes in 2017/18 by offering patients an ‘alternative of lifestyle medicine and support’.